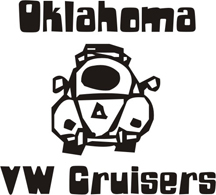 Over the years, the GROOVE June Bug Jamboree has become a staple of VW owners and enthusiasts. The Jamboree will be held on June 10-11, 2011 on the grounds of American Legion Post 639, 2660 S. Scenic Avenue in Springfield, Missouri. Registration starts at 5:00 PM on Friday, June 10. The theme of the upcoming event is “Preserve Precious Metals” and includes a Volkswagen car show, entertainment, vendors, stereo sound off contest, engine sound off contest, slow drags, car corral and a 50/50 pot. Friday night (June 10) entertainment and camping for VW participants is available on site. Entries to the car show are divided into more than 30 classes with 1st, 2nd and 3rd places for each class as well as other special awards such as “People's Choice, "Best of" and “GROOVE-iest” awards for the car show. All car show entries must be Volkswagen powered or bodied. Admission to the event is free and open to the public. Contests, camping, car corral, and car show require nominal registration fees. I will be cruising to this show. The plan is to leave here Friday and stay in Tulsa and drive the rest of the way on Saturday morning. If anyone is interested let me know.